Learn the first step to loving your dog’s behavior! Do you want to be proud of your dog, not embarrassed by him? It can happen. 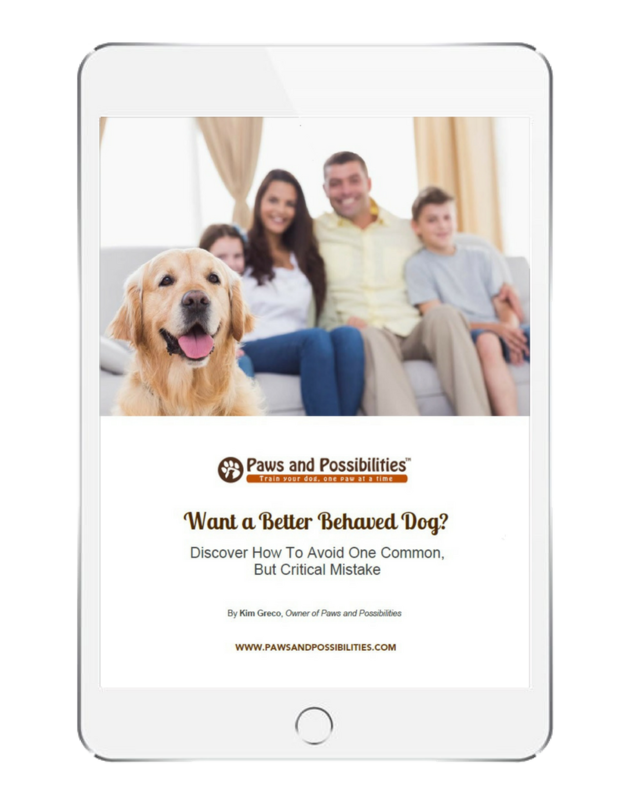 In this FREE DIGITAL DOWNLOAD you'll learn the first step creating the relationship with your dog you have always dreamed of. "It turns out I was inadvertently reinforcing many of Bailey’s anxious behaviors, which only increased those behaviors. You opened my eyes to how dogs think and work." "I now have a puppy that is a pleasure to be around!" "Training is a lot of little things and ideas that make complete sense when you told me, yet I would never have thought of them on my own. I now have a puppy that is a pleasure to be around, and will give me lots love and companionship for years to come." 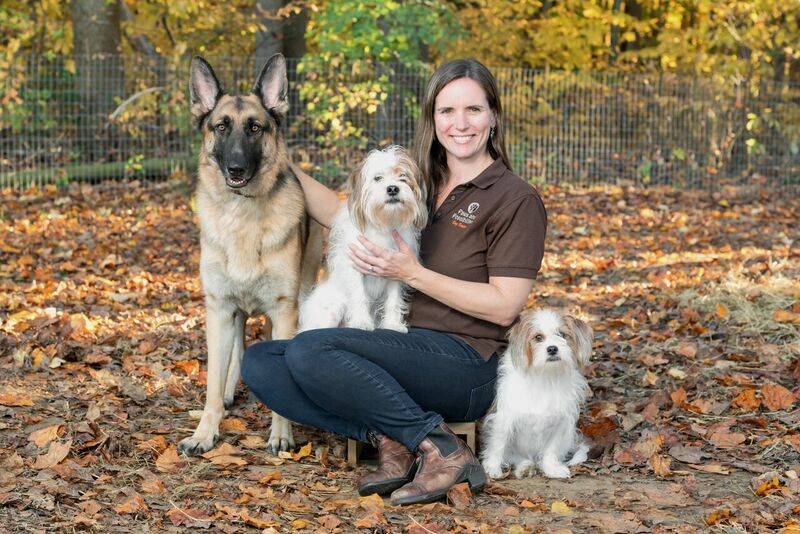 Kim Greco, creator of an online dog training program, Manners Matter and owner of Paws and Possibilities, is a dog trainer for people who want to be proud of their dog, not embarrassed by him. Through her unique training system, you create the relationship with your dog you’ve always dreamed about— all while making it feel like a walk in the park. When she’s not teaching your dog good manners, you can find her hot on the salsa dance floor or reminiscing about how fun it was to train dolphins. Ready to get the relationship with your dog you've always wanted? You're just one click away. Enter your name and email and receive the secret to a better behaved dog! Sign Up Below to Get Instant Access to the Secret to a Better Behaved Dog!